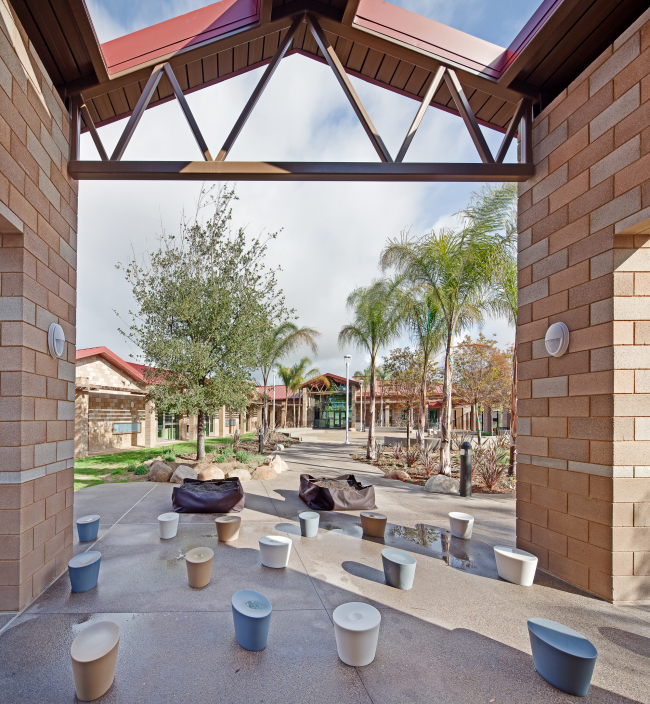 The design for this 25,000 square foot CDC building divides the complex into smaller residential scale masses and forms that create spaces in scale and emotionally safe to the children, while providing rich and varied experiences and a contextual relationship with the surrounding residential neighborhood. 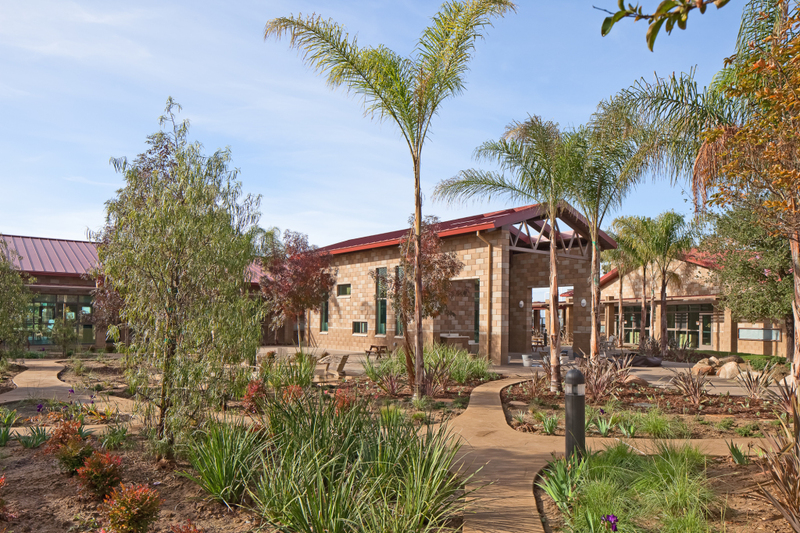 The facility was designed with the ‘Reggio Emilia approach to child care, which focuses on the child’s connection with the environment and community. 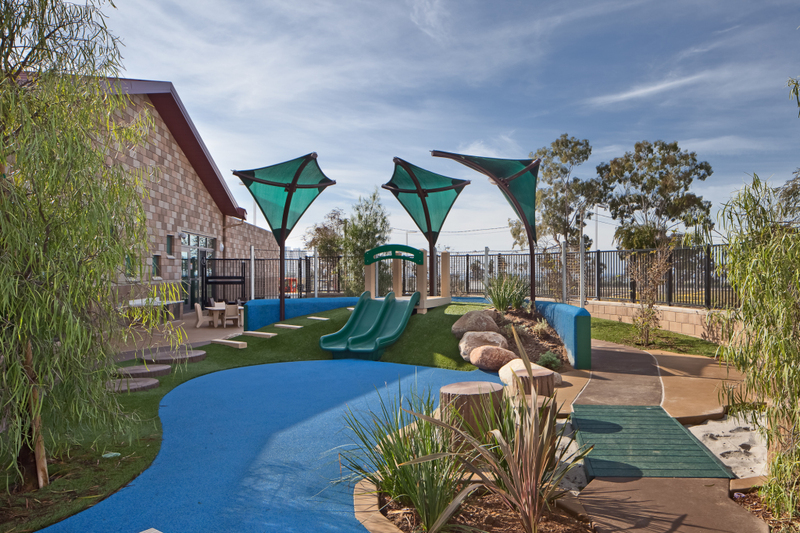 Another important goal was to create a safe and secure facility where the children’s experience is an extension of their home environment. The building configuration and massing allow for cool prevailing summer breezes from the southwest and southeast while blocking the prevailing winter wind from the northwest. 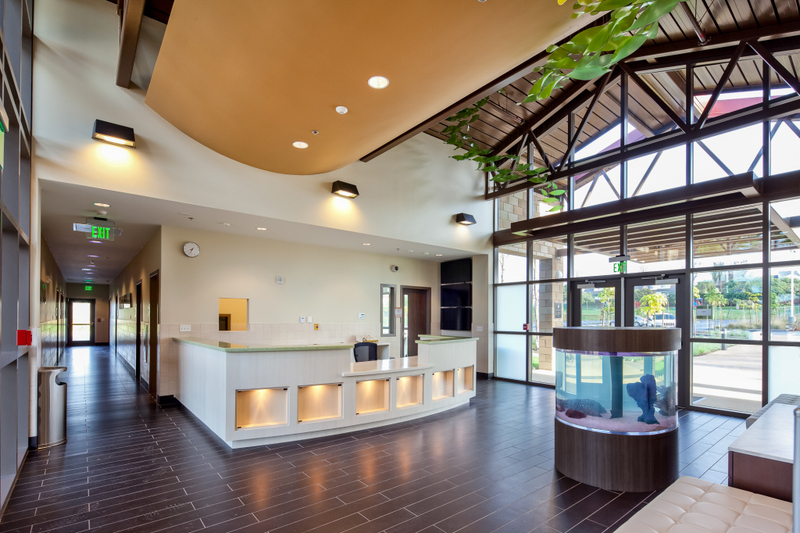 The interior and exterior spaces provide for learning through critical sensory experiences of touching, moving, listening, seeing and hearing. 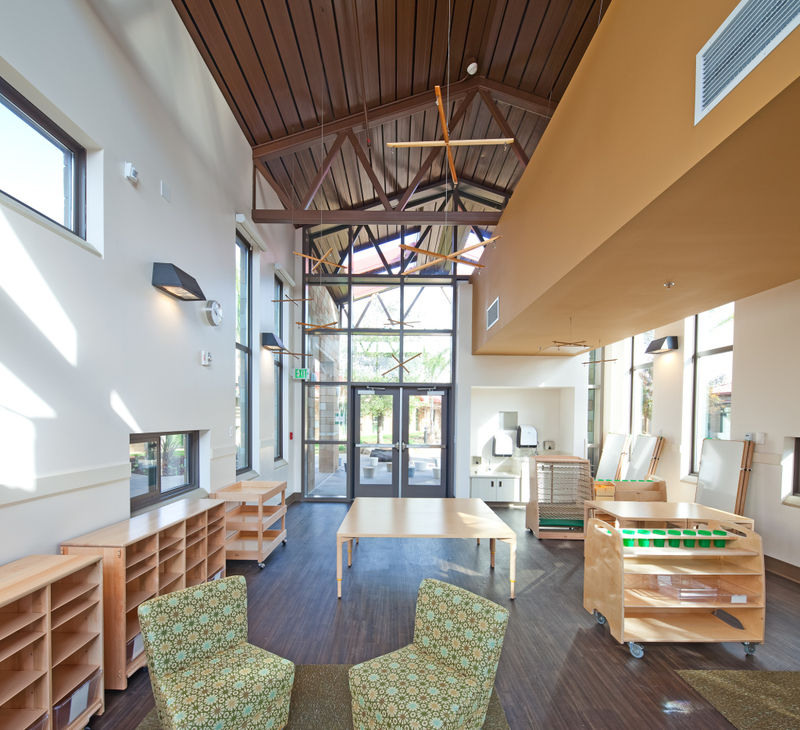 Different textures, visual elements, and flow patterns stimulate the children’s senses. A random pattern of three colors of shot-blast CMU creates visual interest and an almost childlike texture. The darker color precision CMU wainscot provides a smooth safe surface at the child’s level. Steel trellises provide a visual interest to the building while creating shadows on the ground where the children can experience the pattern. Masonry ‘chimneys’ and covered walkways with masonry columns provide visual layering to break down the building massing. 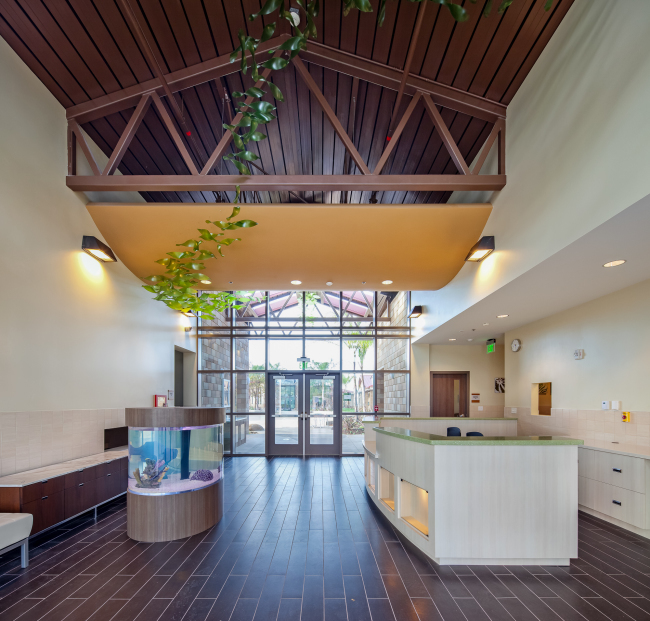 Sustainable design features were selected and used to reinforce the design goals. 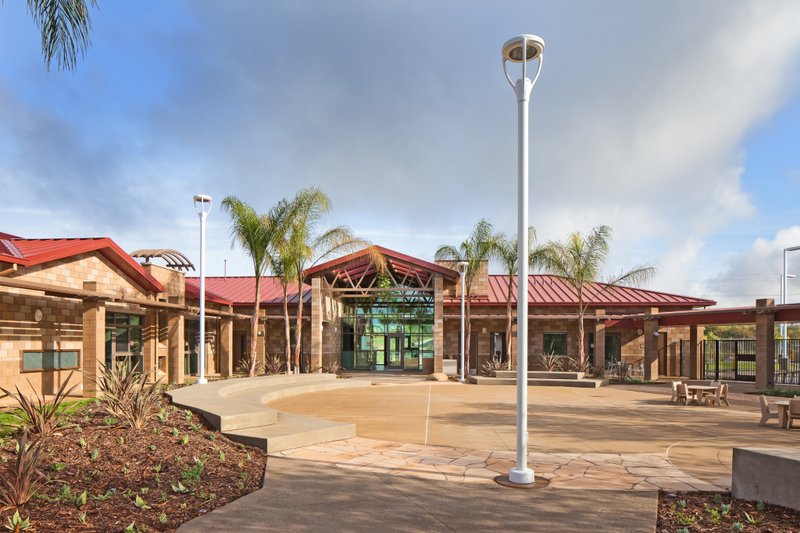 Floor to ceiling windows bring in an abundance of natural day-lighting creating a better learning environment while providing in indoor/outdoor feel and views/connection to the outdoors. Numerous windows sizes and shapes allow for varying angles of light to infiltrate the space. Operable windows provide natural ventilation and contribute to the thermal comfort for users and allowing them to control their environment.